Have you seen my long white legs? Percy is in possession of a very fine set of long white legs, and usually makes sure a few of them are well-displayed when lounging about, just in case anyone had failed to notice already. 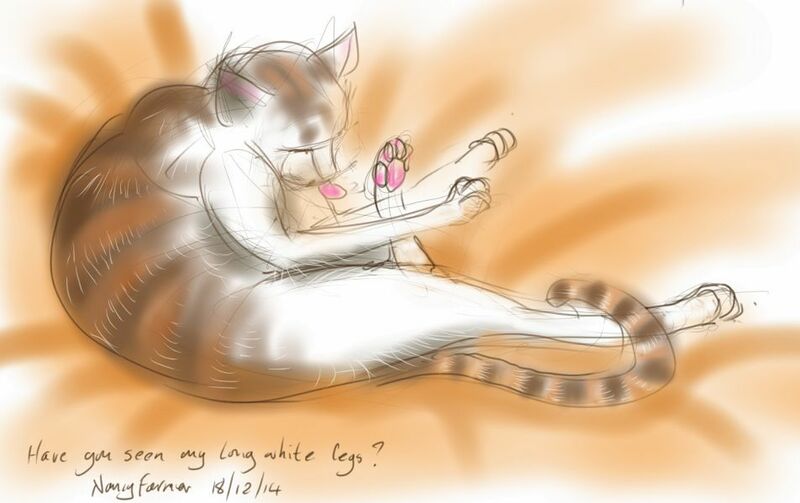 This entry was posted in Cats and tagged art, cat, cat drawing, cat washing, cat-of-the-day, digital sketch, drawing, ginger and white, illustration, Percy Cat on December 18, 2014 by Nancy Farmer.